Ian has been an ever present in the four PTC events this season. OnCue asked him some quickfire questions to find out more about the man who has set his sights on the main tour. When did you start playing snooker and how? 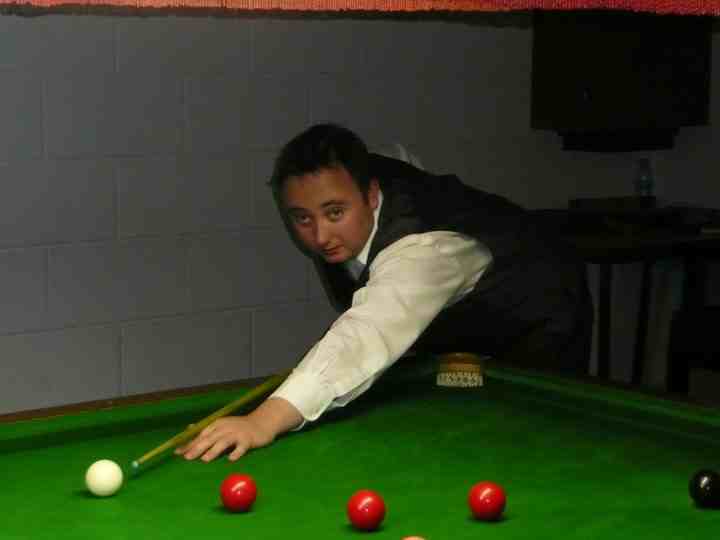 I started playing snooker when I was 13-years-old. My grandad introduced the game to me and I've been hooked ever since. What's your proudest snooker moment? Making my first 147 when i was 15-years-old. What's your lowest snooker moment? Probably last week in the EPTC1 in Germany because of how badly I played. Where do you see yourself in five year's time? Hopefully on the main tour moving up the rankings and being a serious threat. What professional snooker player do you most admire? Jimmy White. My grandad took me to the crucible to watch him play and I was amazed with his very entertaining style of play. He was a crowd pleaser. He was a nice guy whether he won or lost. He's a class act! What's your greatest snooker memory? Beating Mark Williams 4-1 at the PTC3 event in Sheffield. I was very proud to beat him because I think he's probably one of the top five best players of all time. He is a player I always grew up watching and admired, so to beat him made me very proud. If you could make one change to the game, what would it be? Give me a wild card for the main tour, haha! Welcome to On Cue snooker blog. Cutting-edge baize opinion at its finest, written by Gary Moss. © Gary Moss 2010 - Design by Chris Latham. Awesome Inc. theme. Powered by Blogger.